Our custom manufacturing capability has helped many clients design pieces that fit their lifestyle. Our lines include: Mexican import, fallen aspen, and reclaimed barn and hickory wood. Rustic western, southwest, Adirondack, cabin and mountain living are some of the styles that can be achieved with our lines. We are proud to carry local and national artists such as David DeVary. We carry marble vases, travertine table tops, wine racks, giclees of scenery, lithographs of olde world plazas and unique Spanish crosses. 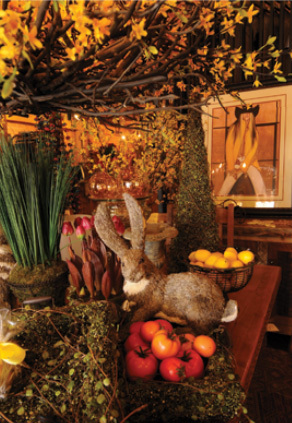 Accessorize your home with Antler lighting, seasonal floral designs, candles, mirrors and rugs. Our selection is constantly changing and growing, so please contact us for our current selection and pricing.